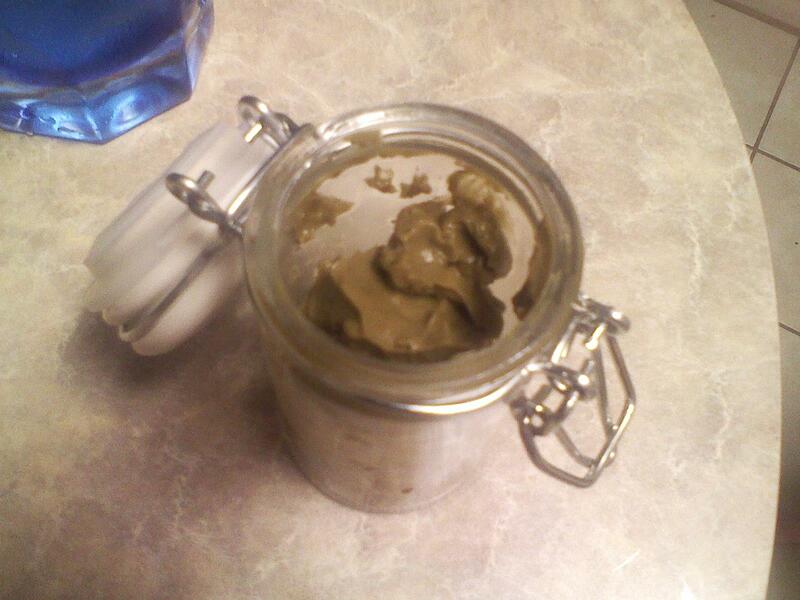 This is a paste version of my Chocolate Spice Tooth Powder recipe. My kids didn’t like the powder version much because the texture was dry and it wasn’t sweetened. This sweetened paste is quite tasty. First simmer a pinch of stevia leaf (maybe half a teaspoon), 2 cinnamon sticks in 1/2 cup of distilled water for 15 minutes. While this simmers, blend the powdered ingredients from the powder recipe. Turn the heat off the liquid mixture and let it cool a bit. Strain the herbs from the liquid and add two drops of clove essential oil. Add just enough of the liquid to your powder mix to make a thick paste (you might not need the whole amount of liquid so add a little bit at a time so that your end product isn’t too runny). Blend with a popsicle stick and store in a glass jar. Apply to your toothbrush using a popsicle stick. This does not have an indefinite shelf life like the powder does, but should last a couple of months if you use distilled water. I like to make a large batch of the powder since it doesn’t go bad and then make small batches of paste as we need it. This entry was posted in Herbs, Homemade Products, Medicine Cabinet. Bookmark the permalink. ← Got 10 minutes? Homemade Tortilla Chips anyone?